SAN DIEGO, Jan. 31, 2018 /PRNewswire/ -- Southern Veterinary Partners LLC, (SVP) a veterinarian owned and managed regional network of more than 40 animal hospitals has announced Roya.com as their new strategic marketing partner. Roya.com is a Software as a Service provider of digital marketing services and Canvas® CMS Platforms specialized in Medical Website Design and Marketing. As a result of this partnership, Roya.com will provide technology and marketing services to SVP Corporate and all animal hospitals in their network. As SVP continues to grow and serve more patients, they remain steadfast in their mission to be the premiere network of veterinary hospitals in the south by providing the highest quality of care to companion animals. With the goal of unifying their digital strategy across all animal hospitals, launching a competitive new patient acquisition strategy, and increasing their call volume month over month, SVP started a thorough vetting process to determine a strategic partner that would both provide the innovation and support needed by their expanding network. With leading-edge technology, a flexible, proprietary Content Management System, inventive marketing strategies and custom ROI reporting, Roya.com was named the exclusive partner to assist SVP animal hospitals improve their online visibility and further penetrate their marketing efforts. "After an extensive search for the right vendor to help streamline the online marketing efforts across our growing network, we selected Roya.com as our partner. 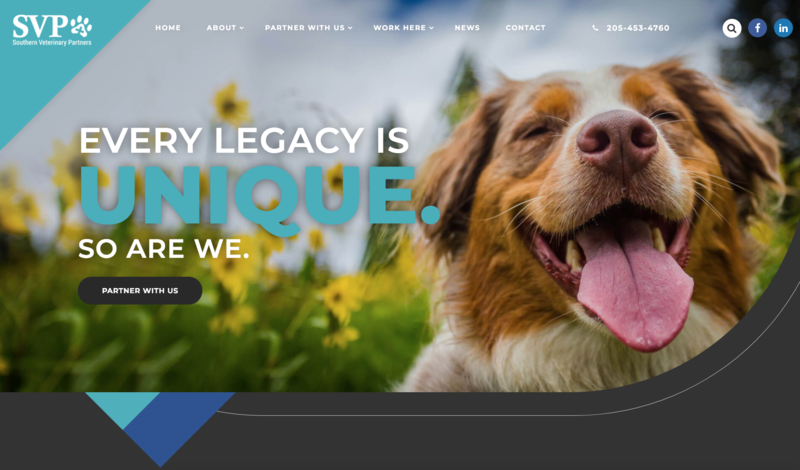 Roya.com is able to solve our marketing needs at an enterprise level to show how our network performs as a whole, while also providing individualized service to meet the marketing needs of each animal hospital," says Lacey Bacchus, SVP Director of Marketing. Roya.com's proprietary Canvas® CMS Platform has proven to be an extremely effective platform for Medical Practices by improving overall online presence and reducing management time needed to run successful multi-channel digital marketing. Most clients have seen an approximate 20% increase in call volume within the first 6 months. Mo Ranji, CEO of Roya.com says, "Roya.com's technology platforms are designed to empower business owners to see positive ROI with ever-changing online marketing. We are excited to serve the fast growing Southern Veterinary Partners and all of their hospitals with our best-in-class technology and dedicated staff." Southern Veterinary Partners is a veterinarian owned and managed regional network of animal hospitals with the common goal of providing the highest quality veterinary care to companion animals. SVP is uniquely positioned to serve as the ideal partner for animal hospitals based in the south. With a deep knowledge of best practices and a local presence, we can provide onsite support and assistance whenever needed. We understand the importance of culture and community and work to maintain the culture an owner has established. As of press time, there are 40 locations in the SVP network with additional hospitals joining each month.